Courtesy of Keller Williams Heritage, Adriana Fuentes. Completely re-done in Amazing location Convenient to Quarry, NorthStar, The Pear, Fort Sam and freeways, yet quiet and peaceful. Stunning kitchen has new GRANITE COUNTERTOPS, New Cabinets. Beautifully remodeled home with an open floor plan. Many more upgrades! Very well kept with great curb appeal, mature trees and fenced back yard. Please, send me more information on this property: MLS# 1348359 – $235,000 – 434 Springwood Ln, San Antonio, TX 78216. 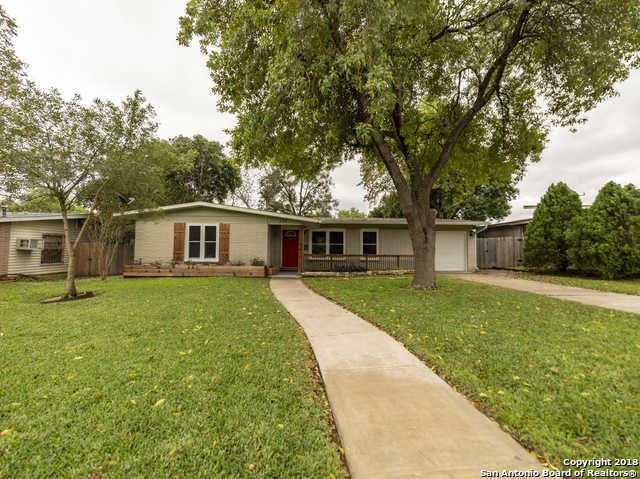 I would like to schedule a private showing for this property: MLS# 1348359 – $235,000 – 434 Springwood Ln, San Antonio, TX 78216.